The Apiculture Division in Puławy is part of the Institute of Horticulture in Skierniewice, one of the research institutes reporting to the Ministry of Agriculture and Rural Development. Our research activities focus on bee breeding, better understanding of bee biology, improvements to apiary management methods, and on the testing of the composition and quality of the entire range of bee products. Another field of our activity is to get a better understanding of the importance of bees and other insects as crop pollinators and the rearing of those insects to address those needs . 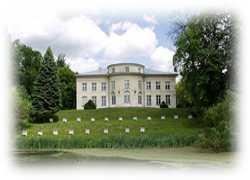 With a focus on new methods for the treatment of Varroosis, a sequence of Polish German symposia on bee research started in Stettin in 1992. This initiative became one of the roots of Eurbee conferences and after a period of 20 years it seems to be worthwhile to review past developments and to discuss prospective progress of control methods of Varroa destructor. We invite contributions to a full range of control methods from biotechnology, breeding, biological agents, chemotherapy, diagnose to the application of organic acids. It is a great pleasure to inform that Journal of Apicultural Science has received an Impact factor. According to the Thomson Reuters announcement it is 0.489.